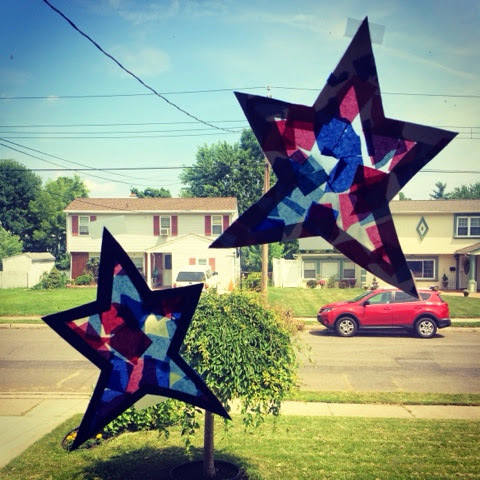 These suncatchers are super easy to make and can be made into a variety of shapes for various holiday decorations! 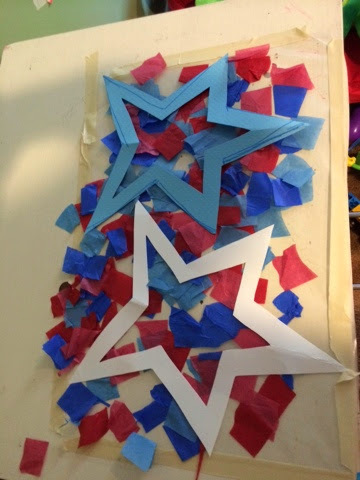 Start by cutting out your shape, we made stars for the 4th of July. 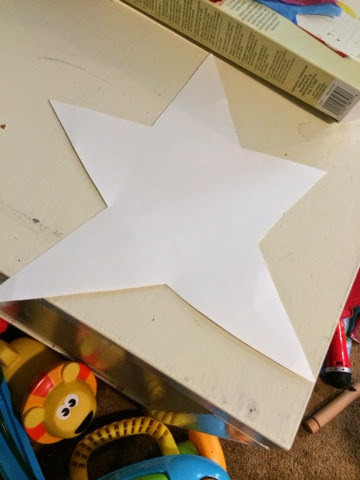 Then you want to fold the shape in half and cut out the middle. This is the part that the kids really get to participate in! Similar to our sticky wall, I taped some contact paper down on the table to make a large sticky surface. 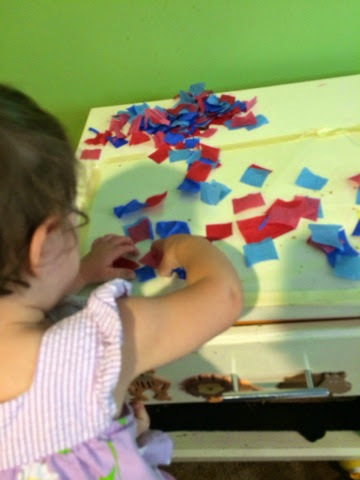 Next to that I placed a large pile of blue and red tissue paper squares and let the kids make whatever design they wanted. This was great for both of the kids despite the age gap (3 and 12 months). 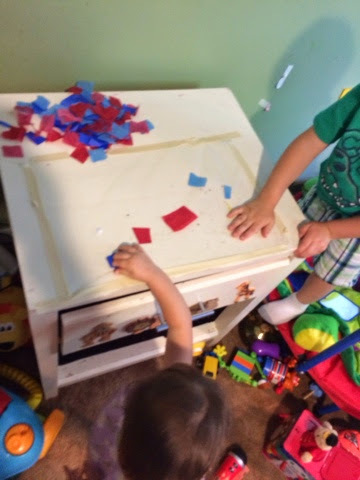 It’s also great fine motor practice for Ava and easier than using stickers. 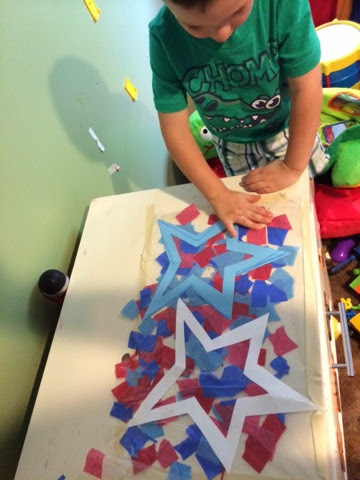 Once your sticky surface is covered, lay your stars on top and cover with another layer of contact paper. That’s it! 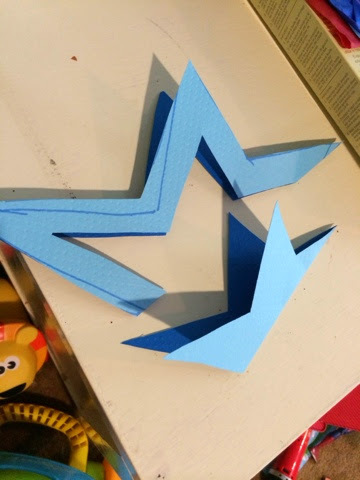 Cut around the edge of your shape and tape on a window! 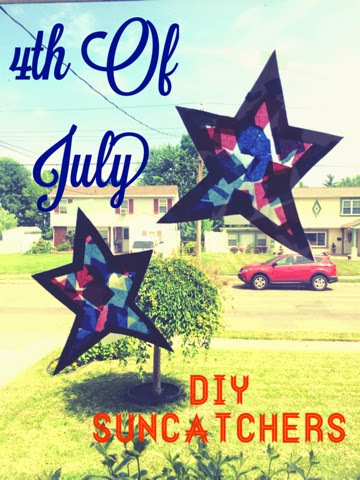 You will have some scraps that you could always cut into shapes and hang as well if you don’t want to throw them away.